You can fix this. Go to settings, graphics, and adjust the various parameters for each monitor. Try these: main monitor 97 degree field of view, all other numbers zero. Left monitor, field of view 57 degrees, lateral offset -90, roll and vertical (pitch) 0. I set the flat offsets to 0 and -1.1. For the right monitor, FOV 57 degrees, lateral offset 90, roll -2 or a bit more, flat offsets 0 and -0.75. 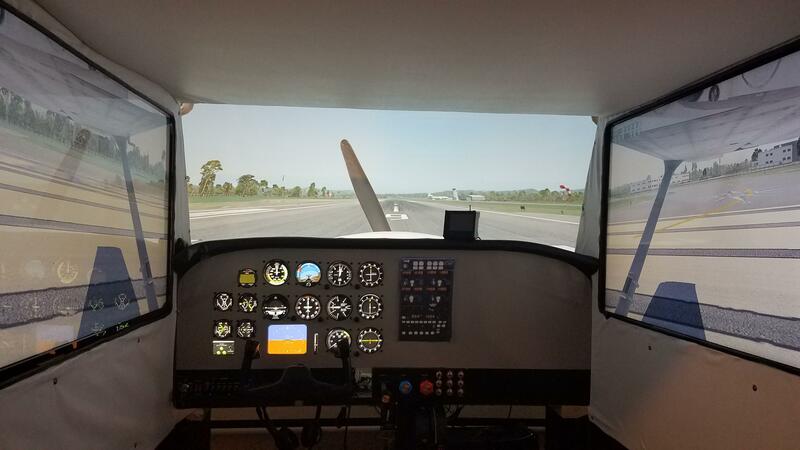 You’ll have to experiment with your particular setup and the numbers will change depending on whether you are sitting in the pilot’s seat, the co-pilot’s seat or standing at the center back (where you might put a camera). Sadly, for a perfect setup everywhere, you need something like those 270 degree screens with three projectors. Richard, thanks for the suggestions. I found that X-plane 11 probably has a bug and i will formally document it. I follow your recommendations for front screen and the vertical objects aligned perfect. I did some temporary adjustments until a final fix from X-plane guys. I have a short throw optoma, not the UST so I need to use the advantage of my high ceiling to project lower than my gauges shield. i installed my GT1080 high and adjusted the front screen vertically and went up to a value of 22, my side screens were aligned really good and aside of the color difference and less definition than LED TVs the horizon was looking great. Except the issue described in my previous post. i discovered that increasing the vertical value to lower the cowl combined with a projector the vertical lines start to incline to the center, bigger the number, bigger the distortion. I physically lowered my projector and also via menu lowered the lens to get the cowl as low as possible, then use a setting of 7 for the front screen vertical. Now it was difficult to adjust the horizon and the FOV to have near the same zoom and level horizons. After some hours I was not able to get the same visual I had before when had the projector close to the ceiling. As a note, the Optoma has perfect aliment with any other software, movie or picture i display in the screen. Having the projector so low result in close to half of the projection over my cockpit roof, anyway i still can see a full view with a very minor side of the right screen border. Forgot to mention that I have my setup to the let side of the screen and not centered, I was forced to move my setup back from the screen to project lower than the gauge shield. Feel like I am flying with left side wind. i will continue my testing and probably will return to the original setup, better horizon and leave with the incline poles and trees in the ground. Pedro, any update on these issues with the GT1080? 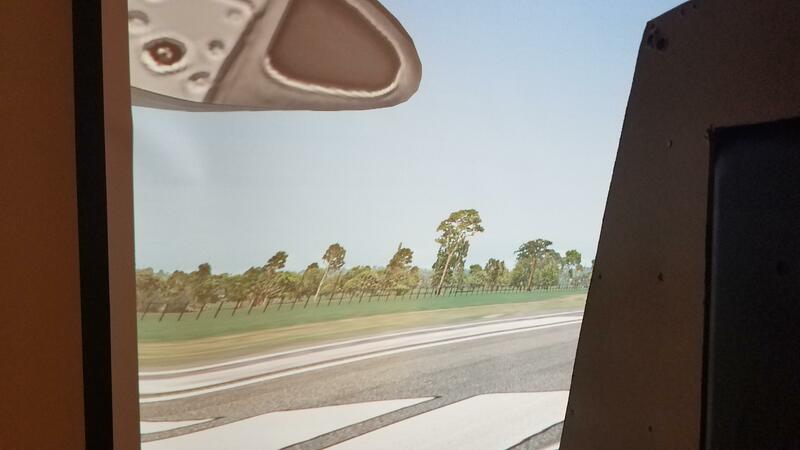 Can you share photos from the way you mounted the projector, height and distance of cockpit? Thanks!